Abdal is a renowned activist working both on local and national issues and has held a number of senior executive roles across London. He is a widely recognised personality in the British Bangladeshi community. He was the first British Bangladeshi to serve on the Metropolitan Police Authority and the governing Council of Queen Mary, University of London. He is a broadcaster having worked on TV and with a weekly radio show appealing to the Bangladeshi diaspora. In his professional life, Abdal works in public relations. Ayesha is a senior finance lawyer working for a range of clients in the City. She was awarded an MBE in the 2006 New Year’s Honours list for her unique role in the successful London Olympic bid. She was the only British Bangladeshi to present at a medal ceremony at the 2012 Games. Ayesha is also a Magistrate sitting in London. Having developed award winning corporate social responsibility programs, Ayesha is the founding Trustee of the BBPI Foundation. She delivers inspirational talks to schools and colleges and mentors emerging talent. She is passionate about empowering the next generation of young women. Iqbal is a journalist, social campaigner and serial entrepreneur. He has just celebrated the 12th anniversary of the highly successful British restaurant and bar Roast, in Borough Market and previously founded the multi award winning Cinnamon Club, he is now planning new restaurant ventures. Iqbal supports a number of social and food initiatives, he is patron of Mum’s The Chef and works with projects helping prisoners and ex-offenders get in to work. He received an OBE in the 2010 New Year’s Honours list for public service and services to the hospitality industry. One of the most respected British-Bangladeshi journalists in the UK and the editor in chief of the Weekly Janomot, a Bangla newspaper established in 1969. Syed is also editor in chief of restaurant magazine Curry Life and UK bureau chief of the largest Bangladeshi online news agency, bdnews24.com. He is vice president of the Commonwealth Journalists Association, a voluntary professional association for working journalists throughout the Commonwealth. Syed Pasha is one of the founding members and newly elected President of the London Bangla Press Club, which acts as a voice for British Bangladeshi journalists, and has worked with government bodies including the Home Office and Foreign and Commonwealth Office. 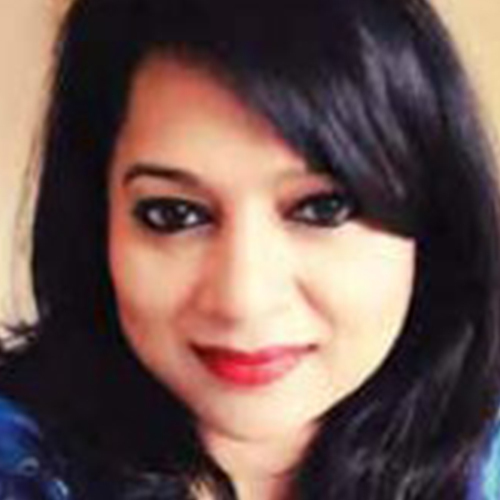 Nahida is a Comms Planning Director for M/Six, a global advertising agency within GroupM. Having a City Finance background, Nahida went on to pursue a career in Media and Advertising spanning over a decade. She was the first British Bangladeshi woman to hold management positions with popular Bangladeshi Channels Ntv and Channel Nine. Nahida supports youth employment and has worked closely with Tech City Stars to help school leavers develop careers in her field of work. John is a creative and cultural entrepreneur, writer, freelance journalist and strategic consultant for the cultural industries. He is currently the Chairman of Creative England a national agency and is on the British Council's Advisory Board for Arts and Creative Economy. John serves on a number of boards and was previously the Head of Corporate Relations for Channel 4. He has also served as the Special Adviser to the Secretary of State for Culture, Chris Smith, during which time John was closely involved in developing the UK government's policies for the creative industries. His other roles have included working as a policy adviser to Neil Kinnock. John is currently a Visiting Professor at the University of East London, as well as other international universities. Howard has been Managing Director of Strategy at Canary Wharf Group PLC since 2015 having been Strategic Advisor at the company since August 2004. He is currently the Chair of the East End Community Foundation, and the Labour Party Friends of Bangladesh, as well as the Business Advisory Board of the University of East London School of Business and Law. He has held a number of board positions across London including, Think London, Gateway to London, East London Business Alliance, Tower Hamlets Partnership, The Young Foundation’s Fastlaners project, Careers Academies UK, and as a Governor of both the Legacy Trust and Legacy List for the 2012 Olympic Games. He plays a prominent role in supporting pro bono and community empowerment initiatives. He was the Boss in Channel S recent reality TV show “3G Boss” promoting business careers for young British Bangladeshis.